Well. We do love a pom pom. 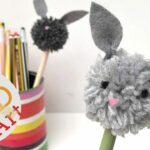 We can’t get enough of them and have shared many a Pom Pom DIY Idea here on Red Ted Art over the years! 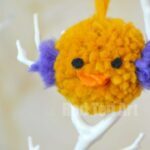 Sometimes you get so carried away with “bigger” and “better”, that you forget the classics – just like this adorable “classic” Pom Pom Chick for Easter and Spring. Yep. 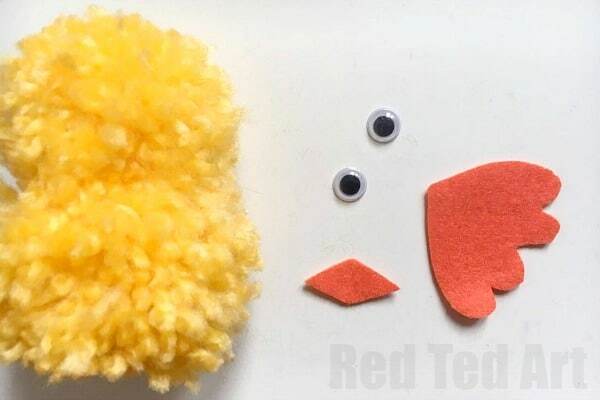 Why reinvent the wheel and do something **amazing**, when in fact, all the kids want to make is a childhood staple: enter the Easy Pom Pom Chick. 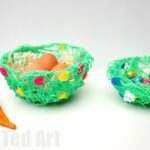 A super cute Easter Craft for Preschoolers and kids! So easy so cute. 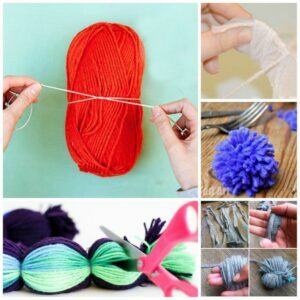 Today we make our Pom Pom’s using the Finger Pom Pom making method, but do check out this collection of 7 Pom Pom Making Methods ideas for alternatives, if Finger Pom Pom making is not quite your thing! 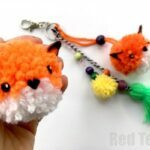 These easy pom pom chicks where first shared in March 2017 and have been republished for your convenience! 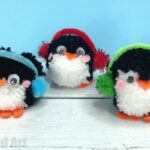 So we have created a simple Pom Pom Chick video for you again, however have also added the step by step instructions (including some photos from the How to Make Heart Pom Poms post) below. So if you want the watch the video, you can, or you can read and follow the written pom pom making instructions below! 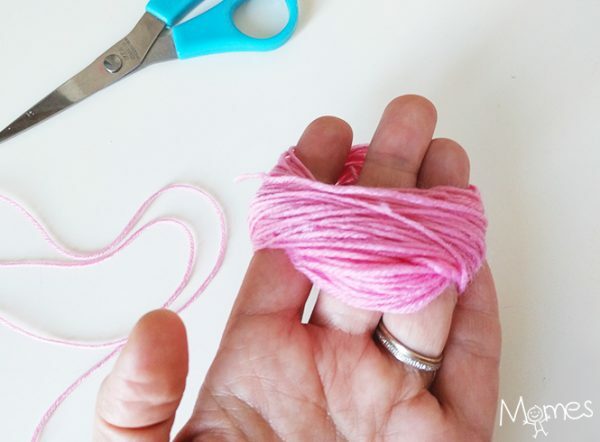 Start wrapping the yarn around 4 fingers. 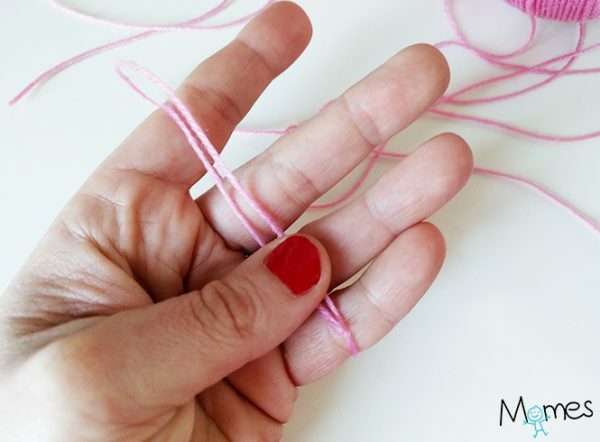 Use another piece of yarn to tie around the middle tightly. 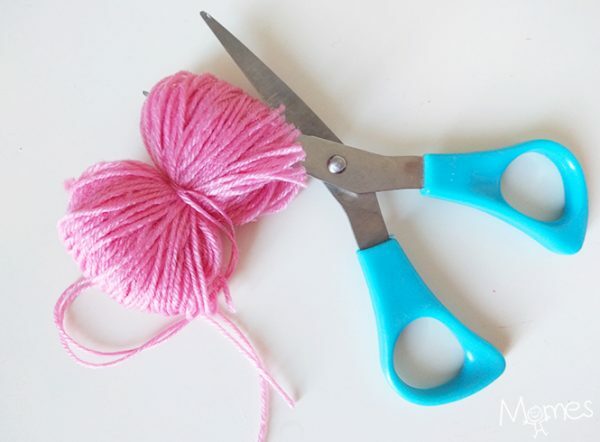 If you want to hang it off something you can leave the piece of yarn long. Then you need to start trimming your pom pom. 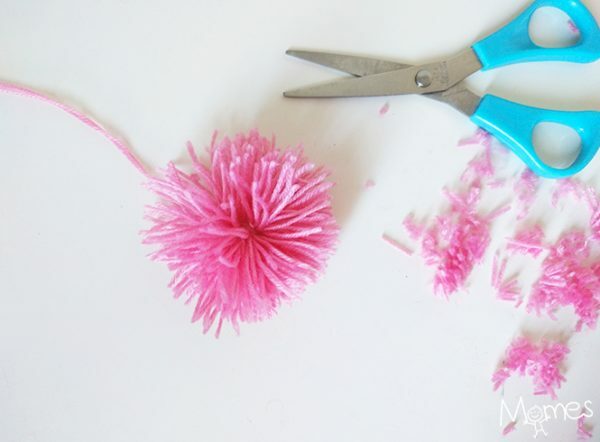 With the Finger Pom Pom making method, you do actually have to trim QUITE A LOT! We like to save these trimmed pieces and use them as stuffing on small sewing projects. 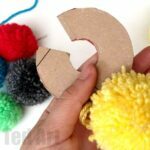 Keep the “tying of strands” as you will use these to know the two pom poms together! I decided to trim one pom pom a little smaller than the other. 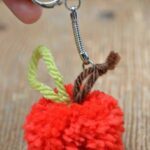 Once trimmed, you can knot the two pom poms together, using the stands you used to tie your pom pom. And glue in place! Let dry and you have finished your Easy Pom Pom Chicks!! 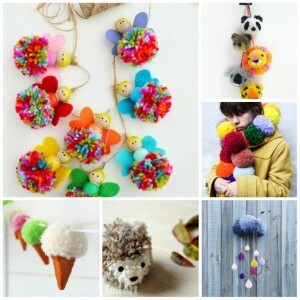 If you love pom poms like us.. do check out the Pom Pom DIY Ideas and 7 Pom Pom Making Methods ideas for alternatives! Happy Pom Pom Chicks making!!!! 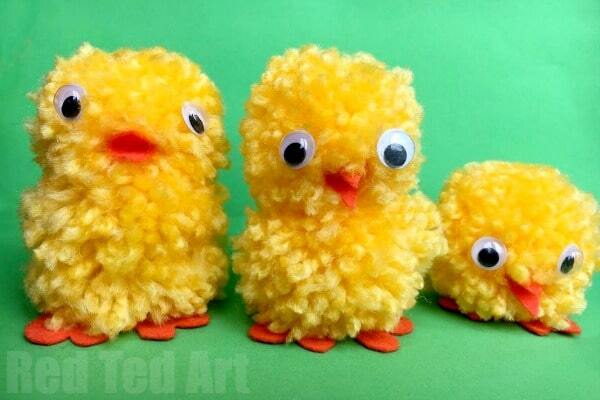 I use to have my preschool class make these pom pom chicks for Easter. First though, we would glue half of an egg shell to a 3 inch diameter tree cookie. Then we put the chick inside the egg half. We would place the second egg half on top of the pom pom chick so it looked like the chick was hatching out of the egg. Since it was glued to the tree cookie, it had a base and wouldn’t tip over. I should make one again just to take a picture of it. They are so easy and I usually read the book, “Chickens Aren’t the Only Ones”.